Your shop should carry clothing that improves the experience of riding. 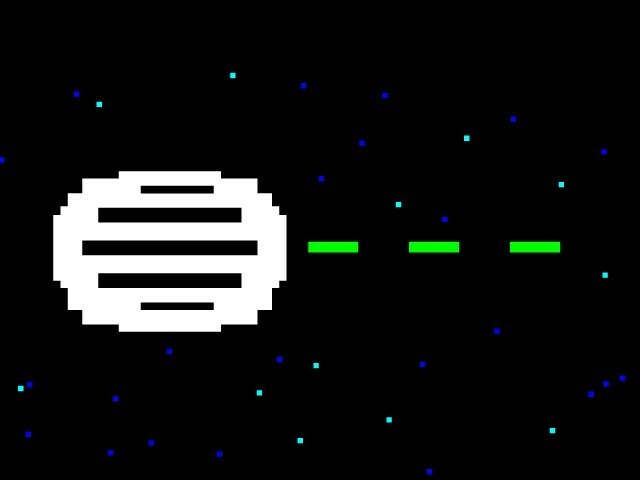 But the same old “put it on the floor and hope it moves” approach doesn’t cut it anymore. With industry expert Mercedes Ross, we’ve put together suggestions for strategic ordering and merchandising that will help make apparel profitable. Carrying cycling specific clothing can be a big draw to your store. It can be profitable too, if you plan and sell it well. Mercedes Ross, owner of Merchandising Werx LLC and merchandising advisor for Giant Bicycles, knows all too well though that many retailers fear the apparel department. She points to five reasons that are generally to blame. Dealers make incorrect purchasing decisions. Dealers are not clear on who their consumer is. It is not merchandised well. Staff is not interested in selling it. Dealers mark it down too late and end up with a big rack of stuff. We’re here to help make those concerns and cycles a thing of the past. There is a rhyme and a reason to successfully selling apparel. The apparel you choose to carry in your store plays a big role in your merchandising display. Begin by asking yourself, “What is my store all about anyway?” The apparel you offer should fit your brand. It should also appeal to your customer base! Not carrying triathlon gear in a mountain shop is obvious, but maybe you don’t need Lycra in your store if you’re trying to promote casual commuting, even if it is technically “cycling clothing.” These days, there are more choices than ever, so you can really tailor your offerings to the customer base you serve best. What makes your store different from other shops in town? Are you a bicycle store with something for every cyclist, or did you open a shop to cater to a specific discipline? Is there an opportunity to put passion and expertise into your selections? Stocking apparel that you and your staff use, understand, and can talk about fluently adds to the product’s appeal! Even if you think you know everything there is to know about the clothing you sell, whenever possible have reps for the brands you carry host tech classes for their products. This is just as important as any bike tech class, maybe even more so if your staff is not comfortable selling apparel. Let the staff know why you chose the lines you did, and what the difference is between the lines as far as fit, price, and availability, so they are more comfortable helping consumers out. Ross says, “Once the retailer has established who the consumer is, they need to commit to enough product to make a statement. Here is where the merchandising comes in.” But first ask yourself, how much available space for apparel do I have? Use the space wisely to tell your story without clutter or an overwhelming selection. Offer a size run of each item. Buying one or two of each item doesn’t make a statement and the product won’t sell. Offer good, better, best of each line, depending on space, of course. If a store is small, carry two different apparel lines, and if it is larger, obviously more lines are possible. But making sure you have room to actually display them is important. Fight the urge to stock equal numbers of clothing in every size, or every color choice offered. Keep in mind that mediums and larges will always be your biggest sellers. These sections can and should be differentiated with forms and mannequins. Even half of a female form on a shelf can identify the women’s department. Organize clothing by like items and categories to make finding them easier. Or merchandise by color, or combinations of color, to help customers visualize outfits or things that may go together. Use mannequins to show complete outfits from head to toe, by layering them with helmets, shoes, socks, bike gloves, glasses, goggles, etc. Use mannequins to layer seasonal essentials like base layers, jerseys, arm warmers, jackets, and backpacks. Display high priced, new, or exciting merchandise on end caps to draw attention to them. Always use the most colorful piece as the focus. Face all the hangers in the same direction. Use size tags or size balls for ease of shopping. Think beyond four-ways and standard fixtures. Antique and second-hand furniture can create interesting displays for clothing. They’re not too expensive and they create a unique feeling in your store. Use waterfall racks, vertical racks, and matching hangers if possible. Consider adding a few marketing pieces that are eye-catching and colorful to grab attention and help tell the story you’re trying to tell. Change display locations and presentations often, and make them seasonally relevant. It keeps customers interested, browsing, and coming back often. It also gives the appearance that there is a bunch of new merchandise all the time, when it may just be in a new location. Mandate that employees clean apparel racks and keep them merchandised. Remove empty hangers, straighten products on hooks, and fold clothing constantly. There is a fine line between having enough and not enough! Make sure racks are full but not crammed. Represent size runs but know that extra small, small, and extra large will sell few and far between with medium and large making up the bulk of sales. Once a new display is finished, take a photo so other employees can replicate it at the end of each day. If items off a display have been sold, have a backup outfit ready to go in its place. Women are likely to walk away if they don’t see their size. Have a full size run available and clearly marked. Women shoppers are more likely to buy an item if they can try it on first! Using your storage closet as a dressing room will not cut it; make sure your dressing room is clean and has a real door with a lock. When buying for women, creating color stories within each line is valuable. Knowing where in the apparel section those color stories are going to be merchandised is also important to keep in mind. Stock distinctly matching gloves and socks in the women’s section with the outfits they are supposed to go with, instead of in the glove and sock sections. This also creates add-on sales. There are good ways and bad ways to move unsold clothing inventory. Just because the apparel is at the end of its model year doesn’t mean it doesn’t still have value, so don’t put it in heaps or in a dark, low-traffic area. Use a proper sale rack that’s as nice as your others,so you’re not giving the impression that the goodson sale have less value. Indicate that the merchandise is on sale with signage. Each garment should have the original price andthe marked down price, so the consumer can see the savings. If a large amount of sale product is left, keep the rack thin and feed it every day from back stock. Apparel sales can provide a boost to your bottom line. Following these guidelines will get—and keep—the ball rolling on effective clothing sales. Get more turn and add variety with QBP. QBP can ship to many shops within a day, effectively storing inventory for you! Let customers know that there are more options, and that you can have it for them fast. QBP’s huge selection and ordering options mean you don’t have to risk having too much of the wrong stuff or too many variables of the right things. 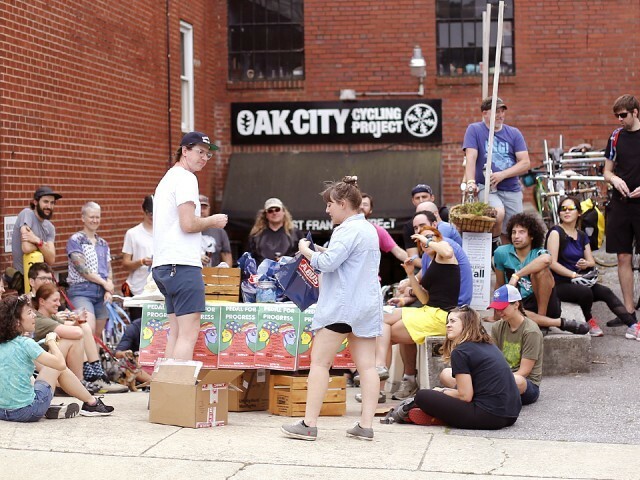 The crew at Oak City Cycling Project goes above and beyond to build ridership in their busy Raleigh, NC neighborhood. 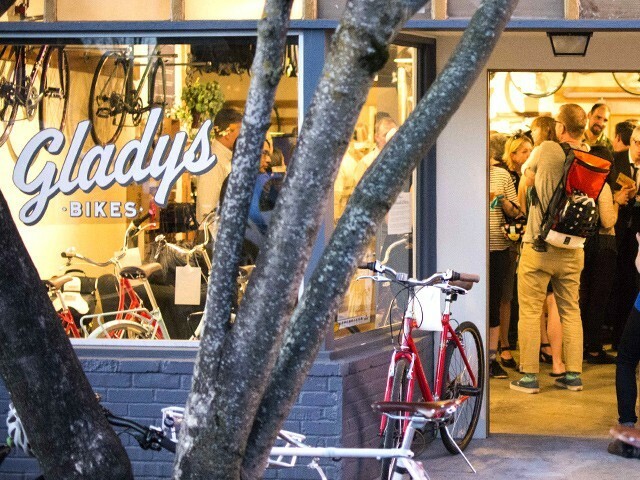 Gladys Bikes is taking massive strides towards making cycling more inclusive — both in its local Portland neighborhood and within the industry at large. 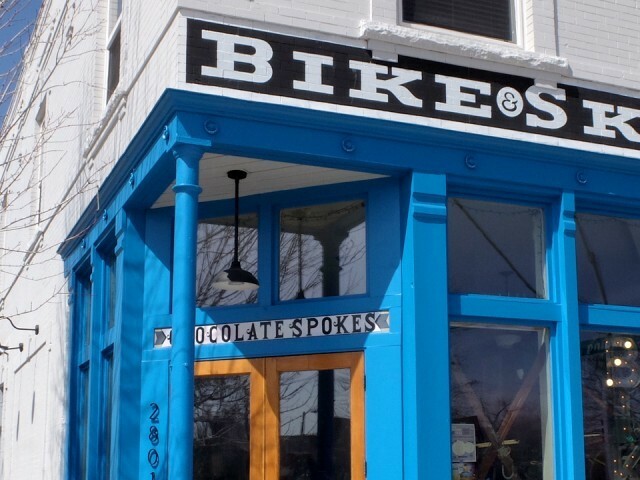 With a clear vision and plenty of determination, Chocolate Spokes has helped revitalize a neighborhood with a tumultuous past while maintaining the soul of its community. 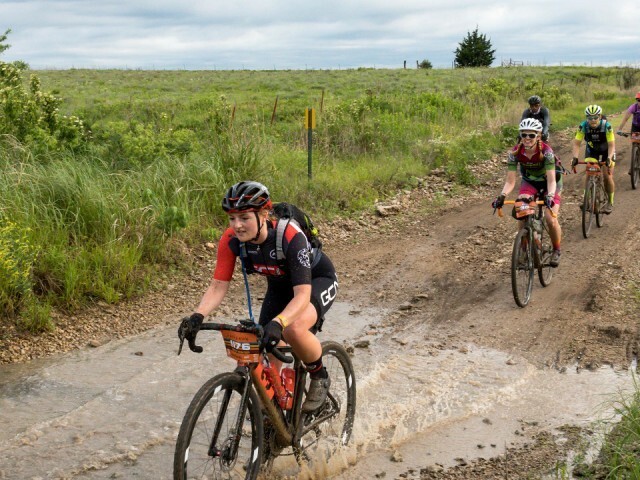 Here’s what we learned about the 200-mile women’s field at Dirty Kanza. Helmet companies are inventing new ways to protect your brain. Looking for product? Trying searching our online catalog.